Reduce worker exposure to hazardous materials. Product transfers are clean and product losses eliminated. Truck unloading is faster, easier, and safer. 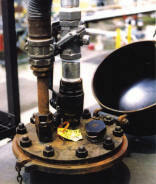 Eliminate spills and clean-ups in your plant. 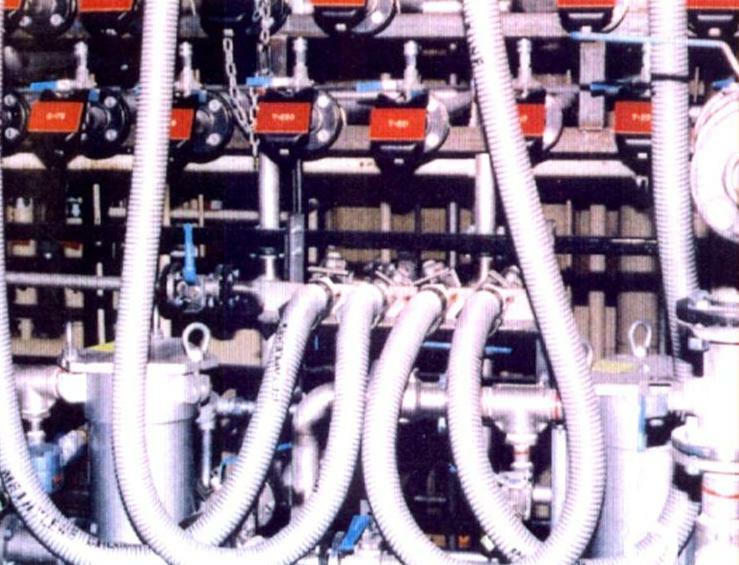 Dry Link is used on solvent switching manifolds to allow leak-free transfer of solvents to multiple tanks. Identical disc halves securely shut-off flow in the line. When product loss is a major cost of doing business, reduce your operating expenses with Dry Link. 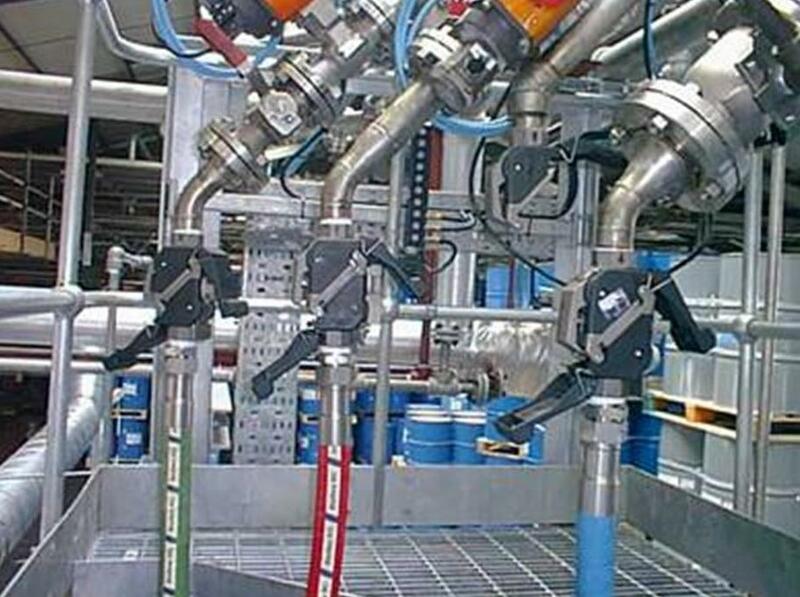 Here ingredients are dispensed to a batch reactor in the blending room of a cosmetics plant. Using Dry Link on vertical lines is an ideal application. With its drip-free design the work area remains clean and safe. Unloading large containers like this rail car is faster thanks to the superior flow characteristics of Dry Link.